Lapwings belong in meadows. 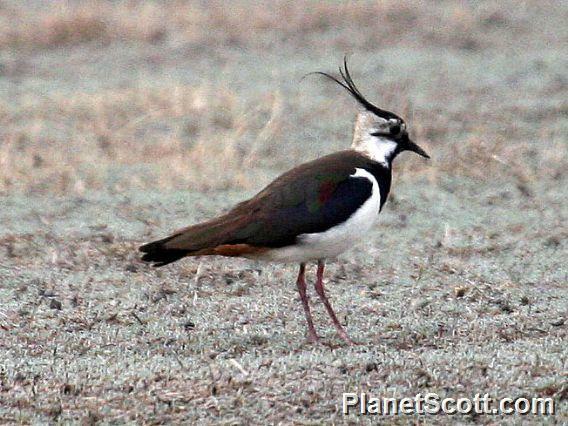 The name lapwing describes the sound its broad wings make when in flight. Lapwings are also known as peewits, thanks to their shrill call. They are very vocal during mating season and have glorious courting rituals in the air. In the spring, the male makes several simple hollows in the ground and the female chooses one to make brood her eggs in. Both males and females brood the eggs and care for the chicks. Should their nest with chicks be threatened, they will defend their young with all their might. Sometimes, you see them flying after a harrier, constantly attacking the raptor. If it really gets serious, they will pretend to have a broken wing, luring the predator away from the nest.